Rumänien 2017 - Homepage der Biker-Brummi-Hilfe e.V. 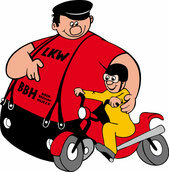 / Homepage of the Biker-Brummi-Hilfe e.V. How can one describe what we do every year to a new and experience, design and create? In the spirit of community, solidarity and holistic integration in the European understanding. Also I was back in the year and for me it was the fifth donation transport in the "FFF" (quick woman vehicle). The transport started on 21.05. in Ristedt at Bremen and went first to Butenhoff at Hannover-Bissendorf. One of our colleagues and fellow truckers prepared a wonderful meal there for us, and we had enough time to get together as a group, to get to know each other, to talk, to laugh and to prepare everything for the departure the next day. I can remember that it was very exciting for me to meet all new faces and to see many old friends again. That was a good start! After we drove the next day to Hengersberg (660 km), it went on 23.05. to the car park Steiner bei Biscke (540km). The departure took a bit, but we had a nice and quiet evening after the long drive. On 24.05. then we went to Romania, to Maria Radna. There we were greeted by a large group of motorcyclists, many old and new friends, many dear and friendly faces, incredibly hospitable people and a nice evening atmosphere. It went to a monastery nearby, where an ecumenical service was held. I remember the mood in the monastery, beautiful music and goosebumps mood. A great moment! It was raining outside, we came out of the monastery and then went to a specially prepared, large dinner with buffet and drinks, live music and a unique atmosphere. On 25.05. we went to Alba Iulia, had an official date at the donation and were brought to the hotel with a shuttle. There we were greeted by a brass band with brass band music, many new people and a lovingly prepared meal for us. Afterwards we were all able to sit together comfortably, some motorcyclists from different countries came along and so we managed a nice evening. From 26. to 29.05. we spent the time in Vişeu de Sus. I can say that I have rarely experienced such exciting and beautiful days on these transports. We stayed in a "train-hotel", an old coach, which was changed to a hotel. The rooms were very small, but lovingly designed and just very "quaint". We could eat and drink there, had a nice outdoor area with wooden benches and tables, campfires and also here - a unique atmosphere in the mountains of Romania. Within these days we had a lot of free time, could experience a lot, get to know people and culture, explore the area. On one of the days we made a fantastic ride on the water valley train, it jerked and rocked right through the mountains, past the river, the sun was shining and it was just beautiful. One evening we were accompanied by a traditional music group that made Romanian music for us. On 29.05. we drove to Cristian, where we were received in a celebratory and hospitable manner. After we moved into our hotel, we went to a kind of local hall, where food was prepared for us, there was also music, dance and many people from the village. We felt very comfortable there, accepted and accepted in our collaborative work. That was a nice feeling. After we unloaded the donations the next day, we went to Fagaras the next day. There, the mood was different, a little more reserved, distanced, emotionally less touching. We had to unload the donations in a very remote warehouse, we had little help and little equipment to work adequately. There we all "tackled", in the hall itself we sorted for a long time and were able to work through the trucks so to speak. In the evening there was a small final evening before it went to Timişoara the next day. In Timişoara we spent on 01.06. a really wonderful day. During the day a music festival took place there, in the middle of the market square, so that we could celebrate our final closing evening in a nice restaurant, on the other hand we could hear and hear the concerts. It was pleasantly warm, the sun was shining, it was a great atmosphere and an exuberant mood at the end of the 17th donation transport. The next day we started the return journey in several stages via Austria to Eichenzell. On 04.06. For us Nordlichter it finally came home. Another transport was successful! For me, it can be said that it was - as in previous years - a wonderful experience. We had a lot of time, a lot of free time and got to know the country and cultures, meet new people and enjoy a great time. 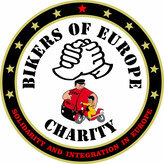 We were able to bring all donations to their destinations without any hitches, there were no major accidents or damage - and we, all members, drivers, friends, motorcyclists and compatriots grew together again. What an experience!